Depression is a serious condition which can negatively affect how one thinks, feels, and acts. This condition can significantly impair your daily living. There are several different types of depression. For example, postpartum depression commonly occurs three months after giving birth as a result of hormonal changes in your body during pregnancy and after delivery. Another type of depression is seasonal affective disorder (SAD) which is triggered by low light in the winter. Symptoms of depression include a depressed mood throughout the day, changes in your appetite and sleep patterns, restlessness, anxiety, feeling worthless, loss of interest in daily activities, and difficulty concentrating on tasks. Severe cases can lead to an increase in drug or alcohol consumption as well as thoughts of death or suicide. Depression can be caused by one’s family history, recent events, past history, and thoughts and behaviours. Depression tends to run in the family and can be inherited as a result. 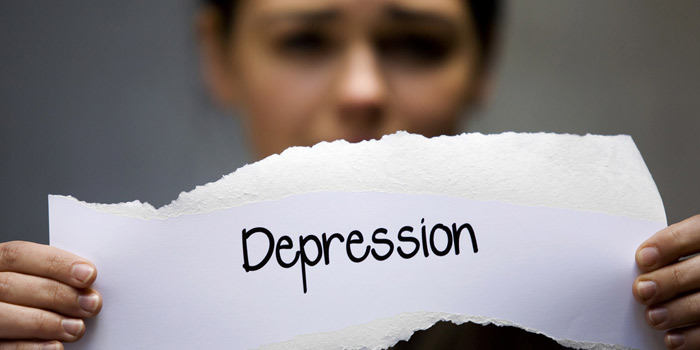 Traumatic events such as physical or emotional trauma as well as the death of a loved one can also trigger depression. Lastly, having a negative world view can result in a negative way of thinking causing you to feel depressed. When treating depression, the most common treatment option is medication designed to increase your levels of neurotransmitters responsible for improving your mood. It is important to note that there are several different medications available and each has its own side effects to consider.If you do not get the medication right the first time do not give up, this just means you have to switch medication to find the right one for you. In addition, sleep is very important as sleep problems can lead to depression. Lack of sleep causes fatigue and can result in being in a depressed mood. A daily routine is highly recommended to manage your depression, including following a regular eating and exercise regimen. Another suggestion is to look into therapy to help deal with your trauma which may have caused your depression. Working with a therapist can help you improve your mental state and find more positive coping mechanisms for a healthier way of living. Depression would qualify under the disability section entitled mental functions as depression impairs your daily living. Mental functions required for everyday life includes adaptive functioning, memory, problem solving, goal setting, and judgment. Please note that a restriction in problem solving, goal setting, or judgements that markedly restricts adaptive functioning would also qualify. This restriction can be either all of the time, or for most of the time (at least 90% of the time). Patients being markedly restricted include being unable to leave the house due to anxiety either all the time or at least 90% of the time, despite medication or therapy, and needing daily support and supervision due to difficulties interpreting ones environment. In addition, they are considered as markedly restricted if they are unable to make common transactions either all the time or 90% of the time, experiencing psychotic episodes several times a year, or being unable to express needs or anticipate consequences of behaviour when interacting with others. Due to the unpredictability of these psychotic episodes, the patient requires daily supervision. How To Apply for Disability Tax Credit for Depression? To apply, our experts will assist you in filling out form T2201 where you will need to get your medical practitioner to complete this form. This will ask your doctor to describe how you are impaired by your disability. It is important to be descriptive in this section as a patient can be affected in a variety of ways by Depression.